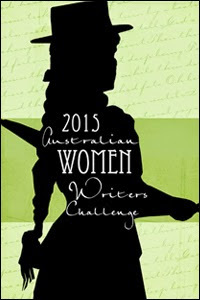 Of late, the woman variously labelled the queen or godmother of Australian crime writing has concentrated her publishing efforts on a popular series of novels for young adults but was prompted last year to publish something for her older readers. 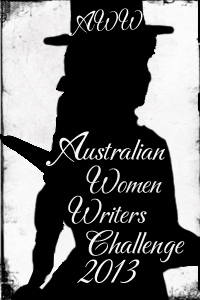 DISHONOUR, set to be a standalone novel like Lord’s early books, couldn’t be more topical with a protagonist inspired by a serving Sydney policewoman of senior rank and story elements that aren’t so much ripped from the headlines as they are predicting them. It is the story of Debra Hawkins, a Detective Inspector appointed to lead a new unit within the NSW police which aims to help the victims of violence who live within ethnic or cultural groups in which women and girls can be treated in ways that are illegal in Australia. They soon come across a woman of Iraqi heritage who is being physically abused and held a virtual prisoner by her two brothers who are, in addition to being the siblings from Hell, actively involved in the city’s drug dealing scene. The subjects explored in DISHONOUR are worthy of exposure. The issue of violence within families is getting discussed more widely than has ever been the case before in this country (for example our current Australian of the Year is a remarkable woman who has used her son’s death at the hands of his own father to raise the profile of this subject). But adding the complexity of marginalised and politically sensitive cultural groups and their treatment of women into the mix makes it a whole different story with uncomfortable political and social connotations. Lord does not shy away from these difficulties though and uses the book not only to depict the horrendous situations that some women find themselves in within their own families, but also the alarmingly limited way in which authorities can assist them even when they do find the courage to seek help and the complications that arise when politically charged labels of racism can be thrown at those trying to help. The broader backdrop of the changes in the scale and nature of criminal undertakings in modern Sydney is also on show. For me this social context proved the most successful aspect of the novel. The character development and storyline left me somewhat disappointed. I’m only speculating of course but I wondered if the possibility of a series might have resulted in the holding back of some of the back story and present-day dramas that were heaped upon Debra for future installments rather than squeezing so much into a single novel. There’s the murder of her policeman father when she was 12, a stupid and potentially career-ending act she undertook on behalf of her drug-addict brother, and the fact that a criminal whose case she worked has threatened her with death and seems to be taking steps to carry out these threats which are all impacting on Debra’s life. Not to mention two serious family illnesses and a major career problem that eventuate later in the book. She is a contrast to many crime fighting protagonists in that Debra is in a sound, loving relationship and isn’t an alcoholic but she has way too much personal drama going on for me and professionally behaves more obtusely than I think (hope) someone in her position would do. I really struggled to take her seriously at times. Ultimately for me DISHONOUR was too concerned with Debra and her personal troubles rather than the women and work she was meant to be focused on. Partly I think that is the result of the narrative choice. The entire book is told from Debra’s point of view and I think I’d have preferred it if we were also shown things from the perspective of some of the women seeking the help of Debra’s unit. The only direct exposure we have to their experiences is when they interact with Debra which, when combined with some of the fact-laden passages providing exposition, gives the sensibility that this is not primarily a story about these women and makes the book border on being didactic a few times. The story itself was a bit of a jumble. The thread dealing with the death of Debra’s father seemed to have an obvious resolution to me from the very beginning and I found it a distraction from what I thought of as the main plot line. Even there though there was too much going on and it was all dealt with a bit superficially to the point that one element seems to have been forgotten entirely between the middle and end of the novel. Reading DISHONOUR left me frustrated because although it raised important subjects it felt to me too eager to sideline them and focus on a fairly un-suspenseful cold case that wasn’t nearly as interesting to me. It’s as if I embarked on a choose your own adventure novel but someone else’s choices for plot development and resolution were superimposed over my own. others aren’t touched again. Gemma Lincoln, PI, begins to see a pattern – but can she convince the authorities to take action before another life is lost? A young woman is attacked, she claims, by a vampire . Two more are found dead and hideously disfigured. A journalist goes missing after visiting Sapphire Springs Spa. And it’s up to Gemma Lincoln, PI, to find out what is going on. As she moves closer to tying the crimes together, Rafi disappears. Facing a mother’s worst nightmare, Gemma discovers what she is prepared to do to save her son. Other Australian female authors in the past, Kerry Greenwood and Jennifer Rowe to name a couple, have set their murder mysteries around a beauty farm. So what Gabrielle Lord is doing in a sense is giving it a modern take – treatments implementing DNA and modern surgery techniques. Add too a couple of extra elements – beautiful girls being drugged by a vampire – their memories ensuring no-one will believe them, thinking they are drug-induced; and a young woman returning to work with a young child to care for. Gemma Lincoln has this idea that she will be able to slowly re-immerse herself in her investigative work, but the nature of her job, and Gemma’s own character, ensure that a slow resumption is just not an option. Young mothers reading DEATH BY BEAUTY will find themselves wishing that they had all the backup resources that Gemma has. Add to that the fact that Gemma is living with a man who is not the baby’s father, and things become complicated. Gabrielle Lord has been occupying her time with writing YA thrillers and this is the first Gemma Lincoln novel for 5 years. It shows that Lord has not lost the touch and kept up with the times. I didn’t like Gemma Lincoln any the more for it – but that is probably just the way she strikes me. The story is a chilling one about how much money there is in the industry of helping women retain their beauty and even making them look 10 years younger. 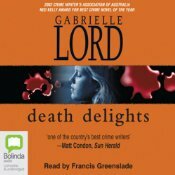 Featuring one of Lord’s two recurring characters, Sydney-based private detective Gemma Lincoln, DEATH BY BEAUTY takes place about 18 months after the conclusion of the previous book in this series, 2007’s SHATTERED. The baby that Gemma was wondering if she would keep at the end of that novel is nearly a year old, she’s living with fellow investigator Mike though he is not the father of the baby (that honour belongs to Gemma’s ex who plays a big part in the story too), and as the book opens she is returning to work. Almost immediately she becomes embroiled in several cases all at once. These include that of a woman who believes her new husband is going to kill her for the money he would inherit on her death, one where a woman claims to have been attached by a vampire and a police case in which two women have been killed in peculiar circumstances. In addition she becomes involved in trying to help her ex lover, who is a cop, beat the false allegations being made about him by a criminal couple. I’ve been a fan of Gabrielle Lord’s novels for many years and was chuffed to learn that this year there would be a new crime novel for adults after a five year gap (during which she published a successful series of YA adventures). So I’m a bit sad to have to admit to being disappointed by the book, even though it’s mostly not the author’s fault. In the last few years, as I have widened my reading horizons thanks to having a bit more disposable income and being able to source books from around the world, I have found crime fiction that uses the conventions of the genre to explore interesting social and political ideas in addition to telling good stories. And I suppose I wanted to think that an author who I have thought of as a favourite, especially one of the Australian women crime writers who sparked my interest in local crime fiction, writes the kind of books I like most and was a little miffed when DEATH BY BEAUTY proved not to be one of these. But it’s probably unfair to review what the book isn’t. It is a fast-paced if undemanding read with a story that doesn’t have much chance to get dull. It does a nice job depicting Gemma’s relationships with the women in her life – primarily her best friend Angie and her sister Kit – which struck me I think because such close, healthy relationships between women are not often on show in crime fiction. It also realistically shows the trials of being a working mum. The theme that I thought it might explore – the impact that an endless quest for beauty and looking young can have on women – is there but only superficially. The book, in particular Gemma, is also irritating in its lack of realism. While I suppose her personal “should I stay with the man who loves me and my son unconditionally or go back to the cheating SOB who keeps screwing up his life and mine?” angst is realistic enough I found her professional behaviour incredible for someone who has supposedly been a policewoman then licensed investigator for many years. For example she uses herself as bait by signing up to an online dating site to hook up with the man who is suspected of planning to kill his wife. But despite having ample resources and experts at her disposal and every indication that her target will research her finances if nothing else, she doesn’t take a single action to provide herself with a credible back story – no fake ID, no social media profiles in her fake name, driving to their meetings in her own car etc. It was not therefore the least bit suspenseful that this stupidity nearly cost Gemma her life. But to be fair I don’t think this book is that different from its series predecessors. Gemma has always put herself in danger at the drop of a hat, she’s always had an unrealistic amount of access to police cases and resources and the books have always been heavy on the violence, usually against women. What’s changed is that I don’t enjoy these books in the way I once did. Happily one of Lord’s strengths as an author is that she does not write just one kind of book. She has another series featuring a male scientific analyst and has also written great standalone novels that cross several genres. So if you like the kind of women-in-peril book that is very popular (think Tess Gerritsen or Karin Slaughter) then give Lord’s Gemma Lincoln series a try. And if you don’t then keep an eye out for something like FORTRESS (a fictionalised account of a real kidnapping of school students and their teacher) or 1992’s WHIPPING BOY (a memorable tale of child abuse and the corruption that lets it happen).